A social media post has highlighted that the games industry is not exempt from anti-Muslim prejudices, something that damages the market's ongoing push for inclusivity. 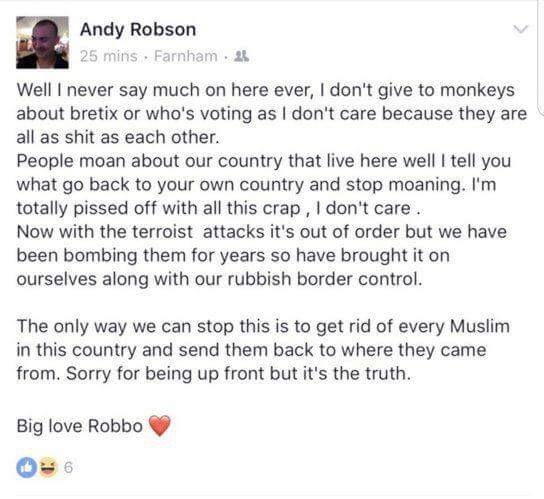 Earlier this week, Testology founder Andy Robson posted to Facebook in the wake of Saturday's London attacks, claiming the UK needs to "get rid of every Muslim" in order to prevent further incidents from occurring. The post has since been deleted. Verbatim, it read: "People moan about our country that live here well I tell you what go back to your own country and stop moaning. I'm totally pissed off with all this crap, I don't care. "Now with the terrorist attacks it's out of order but we have been bombing them for years so have brought it on ourselves along with our rubbish border control. "The only way we can stop this is to get rid of every Muslim in this country and send them back to where they came from. Sorry for being up front but it's the truth." Kotaku UK reports Robson has since apologised, claiming his comments referred to his "views on extremist Muslims" and that they "may have been misinterpreted by some people and caused offence." He continued: "I am so sorry to anyone who was offended by my words - I was trying to voice an opinion on the minority group of Muslims who use their religion as an excuse for terrorism. It was a knee-jerk reaction and I sincerely apologise." Robson added that Testology is "one of the most diverse companies in the industry" and that he has personally "championed equal opportunities and equality for all since I started out in 1994." However, the damage of the original post seems to have been done. Images of Robson's comments have been passed around communities of both Muslim developers and QA professionals. One previous client, Sniper Elite developer Rebellion, has openly distanced itself from the company. "We strongly condemn comments made by Andy Robson about Muslims in the UK," the studio wrote on Twitter. "We have not worked with Testology for over a year and have no plans to do so in the future. We want the games industry and the UK to be a safe place to work for ALL." Despite reports from anonymous sources that suggest Testology has lost business following the post, GamesIndustry.biz has been unable to verify this. One former client told us while they have no current or upcoming plans to use the company's services, they regularly review every aspect of partners they work with, including company culture and personal attitudes. We have also reached out or Testology and Mr Robson for clarification on this matter. 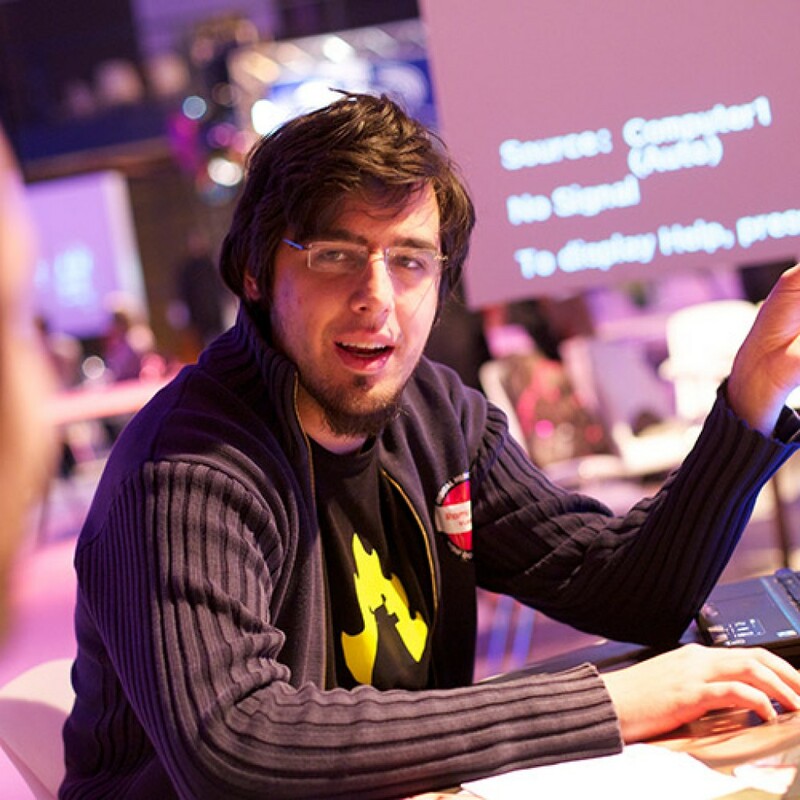 Reaching out to notable Muslim developer Rami Ismail of Vlambeer, we asked if Robson's attitude is common within the games industry. "It's not common, but it's still far too common," Ismail told GamesIndustry.biz. "It has a stifling effect on Muslim developers - and being a visible Muslim in the games industry, I got a number of distraught e-mails about this particular post from British Muslims. It also enforces the feeling of not being welcome in a culture, and I think many game developers will tell you that the games industry is home to them. "In the end, many of us are a bunch of geeks and nerds and creatives and otherwise outcasts throughout youth, and being outcast again from country and passion just for having bits of a religion in common with a socio-political terrorist movement across the world is discouraging." Ismail goes on to warn that such attitudes are often borne out of "plain ignorance", going on to dispel a few of the misconceptions some may have about the religion's followers. "Islam is multifaceted, with most victims of terrorism being Muslims. Islam has multiple branches: the Shi'a and Sunni, Quranists. [There are] different cultures, beliefs, and languages. There are Muslims that go to the mosque only for our holidays, similar to churchgoers that only go for Christmas. Most people would never expect it, but the majority of Muslims don't speak Arabic as a first language. "The largest Muslim majority country is Indonesia. As the attacks in Iran and the political tensions surrounding Qatar show, "Muslims" don't agree about a lot of things - and how could they? There's 1.6 billion of us. "It's similar with the word 'Sharia', which gets thrown around a lot in anti-Muslim rhetoric, while you'd be hard-pressed to find a group of ten Muslims that agree on what Sharia is and how it should be implemented. To many, Sharia simply means 'living by the rules of Islam', an internal, personal thing. For some, Sharia means imposing laws based on Islam, similar to how Christian Republicans push various religious law regarding topics as abortion and gay rights. "Islam in the West exists almost entirely peacefully, and with very little incident, while we continuously bear the weight of the numerous discriminatory laws being passed and stereotypes of us being used for villains in almost every medium for decades. The notion that Islam is monolithic is nonsensical, and until people stop using the actions of others to justify their own ignorance, xenophobia or racism, this issue will continue." Prior to his official apology, Robson defended his views to Kotaku UK on the basis that they were "my personal opinion.. nothing to do with Testology." However, Ismail warned managers everywhere that being in a position of influence and visibility makes it nigh on impossible to separate personal views from that of your company. "This is the same idea that people have when they get fired despite having a Twitter bio saying 'My opinions do not reflect those of my employer'," he told us. "Of course you can't separate those two, especially not when you're a managing director. If you're the person who is in charge of a company, and you're saying you want all Muslims to leave the country, that doesn't bode well for your hiring practices. "Of course, things you do personally are different from things you do business-wise - the same way I run a studio and spend thousands of dollars on licenses while still being stingy about buying a can of coke from a machine. "Things change when you're visible, and posting on social media, in a place where job-seekers and aspiring developers can see what you say. Especially if you're a managing director and founder, you don't get to say 'business' and 'personal' are entirely separate." In his apology, Robson said he "will certainly not be writing any of [my views] on my personal social media account in the future." "I appreciate all of your comments and views. Rest assured my apology was not 'textbook', it was heartfelt - maybe I should have expressed my regret differently. I made a massive mistake and I hold my hands up, but what I was trying to get across is that my Facebook post was written out of sheer ignorance rather than malice. I certainly agree that I need to take on board the comments of Rami and others, and become more educated about such a sensitive topic. "All of my working career has been about giving opportunities to people from ALL backgrounds, regardless of gender, race or religion and I am mortified at being portrayed as racist. I will be do everything possible to learn from this. My head is not up my arse, it's hung in shame and I truly am sorry for the offence I have caused." "We do not tolerate religious persecution in any form"
I can't imagine how it must feel for Muslim devs, and Muslims everywhere to read the initial post. No apology can undo the damage done here. Games must become a diverse space where everyone is welcome and valued equally. We clearly have a lot more to do to get there. A common phrase I hear from this ignorant perspective is "... but it's the truth," which irks me. Since when did an opinion become "truth"? A statement of truth, in a factual objective sense, should remove personal bias and cite multiple researched sources to support a 'truthful' statement. Get your head out of your arse Robson, and open your eyes to the truth of the real world. Start by reading Rami's words. I was entirely unimpressed with Robson's textbook non-apology...shows the only thing he's learned from this is to hide his bigotry in future. It's sad that Brexit made so many closet racists feel that their abhorrent views were legitimised, but I'm glad to see that at least the games industry - flawed though we are - still won't give such rhetoric a free pass. Thanks for stealing our entire article James. By the way it's Kotaku UK and not Kotaku. We did all the work on this and then you just copy and pretend it's yours. Thanks for the (incorrect) credit in the fourth paragraph but fundamentally, you are a plagiarist and you should be embarrassed to run this. It astonishes me you are GI Biz's editor and felt so free to just steal our work. This story took us days. You are a bad man, and a bad journalist. 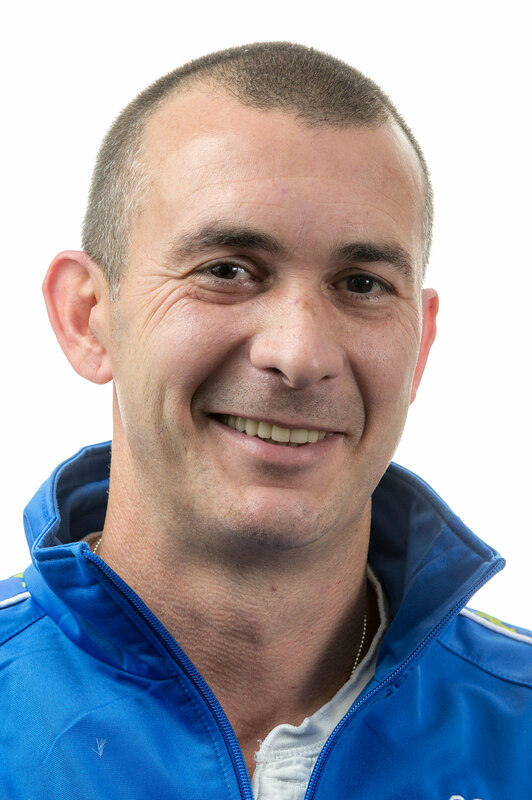 @Rich Stanton: Hi Rich, thanks for your feedback. I've amended the references to Kotaku to reflect the work of the UK team. Apologies for the error. I have to dispute your accusations of plagiarism. We've had multiple emails since Monday, June 5th alerting us to the original Facebook post (which I'm happy to share with you). I have been carrying out my own investigations since then - hats off to the Kotaku UK team for breaking the story first. The majority of our article, and the principle angle, is based on an original interview with Rami I conducted earlier this week. The original Facebook post was in a public forum (and, as I said, submitted to us by multiple people), as were the tweets from Rebellion. Any Kotaku UK material has been accredited and linked to, so I do not agree that this can be considered as plagiarism. @Rich Stanton: It does look as if more than half the article is based on an interview with Rami Ismail, while the other stuff (Facebook posts, Twitter responses from Rebellion and Shahid) was hard to miss if you work in the industry.